We have deposited the Check of your fund ($2.700,000 USD) through Money Gram department after our finally meeting regarding your fund, All you will do is to contact Money Gram Director Dr. Kesh Ahmed via E-mail: moneygramtransfer511@gmail.com to release 1 digit reference number to you can pick up $5000 dollar He will give you direction on how you will be receiving the funds daily. Though,Mrs.Maria Moore has sent $5000 in your name today Reference Number 6269228* 1 digit is holding until you contacting Dr.Kesh Ahmed to released full Reference Number to you. so contact Dr.Kesh Ahmed or you call him +234-8135257484 as soon as you receiver this email and tell him to give you the 1 digit Ref number,sender name and question/answer to pick the $5000 dollar Please let us know as soon as you received all your fund. Dr.Kesh Ahmed to released full MTCN/Reference Number to you. 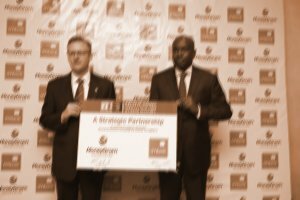 Thank you very much for your immediate respond, This is to officially inform you that the higher authorities in charge of all international transaction has this morning declared that you will receive your $2,700,000.00 through MONEY GRAM Transfer Only as winning award and compensation for your pass effort and inheritance funds with Money Gram here in Benin Du Republic. So the arrangement was made this morning and the Federal High Court Of Justice has signed yourMONEY GRAMTransfer Papers and the only money you will pay is $98.00 for the ACTIVATION and signing your payment file because you are not present here to sign it and someone need to sign on your behalf because it is huge amount of money so once it is done that means your first transfer will start today or latest tomorrow morning. 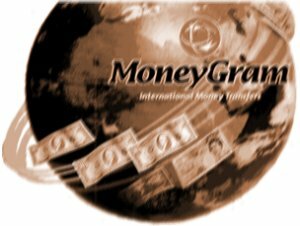 The daily transfer of your funds is $5000.00 per day until your total $2,700,000.00 millions USD is completely transferred to you or if you like you can receive it once through bank to bank transfer but before we release any funds to you, you have to send the needed fee of $98.00 for the activation and signing of your payment file. I assured you that this is real and legit and i can not lie to you at my age because of $98.00, your first payment of the $5000.00 daily transfer will be on its way today or latest tomorrow morning once we confirm the $98.00 from you which is for the Federal High Court Of Justice Benin Republic ACTIVATION and signing of yourMONEY GRAMTransfer Papers. 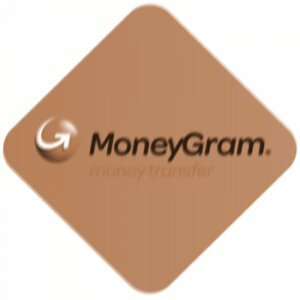 Now we have already sent $5000.00Usd in your name today and all the necessary arrangement concern the releasing 1 digit on hold reference and sender's name is ready for your pick up at any money gram office nearest to you but still on hold due to the unpaid endorsement & activation file fee amount of $98.00 you are suppose to pay before your daily transfer will be made available to you to pick up on daily. You are required to send us $98.00 to activate your payment file account before you will start receiving your fund from this office. Below is your first transfer payment details but1 digit Reference number6269228* still on hold until you send the $98. 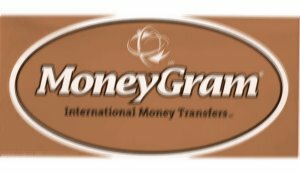 The status of your first transfer payment of $5000.00 is available for you but you will not pick it until you pay the needed $98.00 for the ACTIVATION and signing of your MONEY GRAM Transfer Papers by the Federal High Court of justice Benin Republic. I will send you my staff working I.d card as a proof to you if you want. SENDER'S COUNTRY. . . .
Head Office here in Benin Republic. Finally you are advise to call me with this number and stop emailing any office or department here in Benin Republic until you receive your full funds from us, this is to prevent you from been scam and for your security reason's. She told you that my email. Is scam? How long have being working with her and how much have you pay to hear to get this funds did get it? Like i told you that, you dont need to come over hear arrangement was made by the Federal High Court Of Justice signed your MONEY GRAM Transfer Papers and the only money you will pay is $98.00 for the ACTIVATION signing your payment file because you are not present here to sign it and someone need to sign on your behalf because it is huge amount of money so once it is done, The status of your first transfer payment of $5000.00 is available for you but you will not pick it until you pay the needed $98.00 for the ACTIVATION and signing of your MONEY GRAM Transfer Papers by the Federal High Court of justice of Nigeria.